We have a mission patch! A manned mission to space has an own mission patch. You can find the name of the mission or the year for example. A graphic to represent the goal of the mission is situated in the centre of the patch. Traditionally the patch is usually used as an embroidered patch on the clothes of the space team. Unfortunately our foraminferas cannot wear patches during the flight – we created our own on behalf of them. The motive is our logo, which design is inspired by space mission patches. 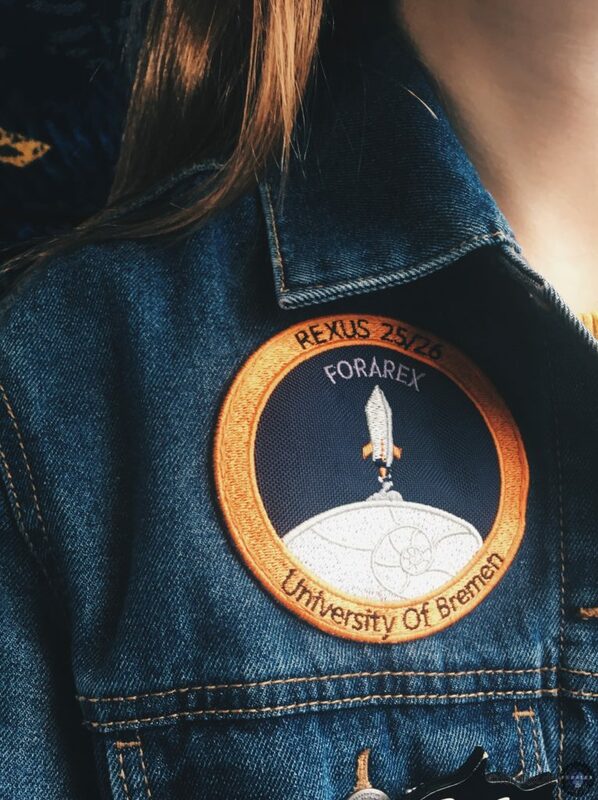 Our patch went with us to DLR in Oberpfaffenhofen, where there was the REXUS/BEXUS Critical Design Review. There will be a post about this week soon.